This is a delicious sweet made and enjoyed on almost all occasions. 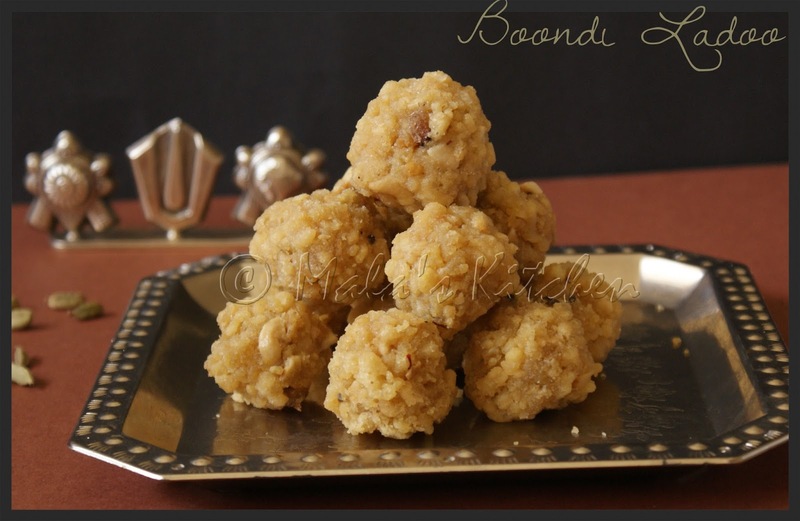 This is my 2nd attempt at making these ladoo's. They came out with good texture and taste. This is a common sweet dish during diwali. Mostly available in shops in India but as far as I know rarely made at home. I have never seen this beging made at my home. Initially i was thinking that its very difficult to attempt this at home. Inspired by my blogger friends I was tempted to attempt this at home. Recipe and tips borrowed from my mom. I could make 12 yummy laddoos within 45 mins. Heat oil , pour a batter in a sieve (laddle with holes) in a hot oil and deep fry and remove drained in the paper towel. Happy Anniversary! Ladoo's are perfect for the occasion. Enjoy them and keep blogging. looks so delectable.. And nice clicks too...Happy anniversary..
Congrats and those laddoos look superb! Congrats on the 7`th anniversary of your blog! Laddoos look so yummy! Awesome and wish you many many more years of Happy Blogging! Ladoos are perfect treat! Oh boy, that's a lot of hard-work to make ladoos at home. The laddus looks beautiful. Kudos to you...lovely clicks as well. I love home made laddus. My mother-in-law makes great Boondi. My favourite sweet. Looks so good. Congratulations on your blog anniversary! Laddoos look fabulous. Congrats Mala..7 yrs is really an awesome number..